Two local small business owners claim that University-sponsored construction projects on 53rd Street have hurt their sales. 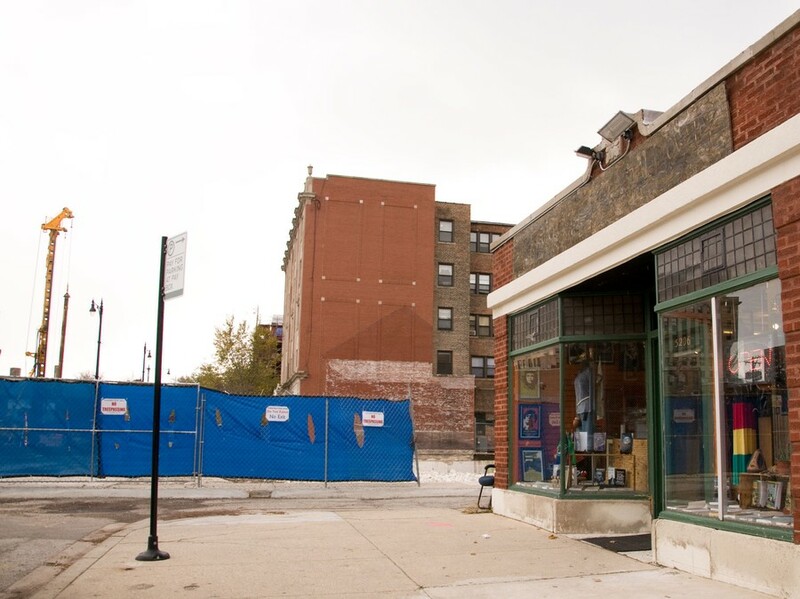 Ras Sekou, owner of Frontline Books on South Harper Avenue between 52nd and 53rd Streets, said he was not aware of how much the Harper Court-related construction would impact his business. He was informed of the impending projects last June by Scott Mosak of HSA Commercial Real Estate, the company that is working with the University on the development, but Sekou said he was told the construction would not influence business. However, when construction began August 8, a fence along the north side of 53rd street cut off traffic that previously brought customers to Frontline. Sekou said that his sales have decreased by an average of 85 to 90 percent since the construction began. As a result, Sekou said, he has had trouble paying rent, cut back hours for his employees, and no longer has money to advertise. Frontline will not survive the next few years if sales don’t pick up as construction continues, according to Sekou. “Every day becomes more depressing,” he said. With four years left on its lease, Frontline faces two more years of neighboring construction. Last year, Sekou also leased the space next to the store with plans to open a juice bar. Those plans have been halted due to the current financial hardship. Up the street, Checker Board Lounge has experienced similar problems, but was not aware of the construction beforehand. The University held several public meetings with business leaders and community members to involve them in the development process, according to University spokesperson Wendy Parks. Sekou said he went to one of the meetings about a week before construction began but was again told—this time by one of the developers—that his store would not be affected. Sekou is seeking assistance to keep the store open, but said that attempts to discuss options with the University have been unsuccessful. “Nobody showed any concern,” he said. Thurman also said he contacted the University but was told there was nothing they could do for him. He is in the process of looking for a lawyer, he said, and figuring out what to do next. Sekou has already hired a lawyer to look into the possibility of being compensated for the loss of income, but said he hopes things will not go that far. “We really don’t want to sue,” he said. Sekou also said he recognizes the University’s right to build on the property. Across the street from Frontline, the restaurant Park 52 has not been having such troubles, according to business manager Alex Brauvermann. He attributes the restaurant’s relative success in weathering the effects of the development to good advertising using social media. Sekou alleges that Park 52, located in a University-owned building, receives help from the University. Though Brauvermann would not comment, Parks confirmed that the University has aided local businesses affected by the construction, both those located on University property and those that aren’t. Big Girl Cosmetics, which is in a building not owned by the University, was given help to build a more prominent sign, Parks said. The construction projects along 53rd Street are part of a broad effort to revitalize Harper Court. The new Five Guys Burgers and Fries was part of this, and the project will include a movie theater, a sports club, a 24-hour restaurant, and a hotel. Development is slated to continue into 2013. Peter Cassel, spokesperson for major Hyde Park landowner MAC Property Management, said the company is “cheering on” the projects. “I think the development is good for the neighborhood,” he said. MAC owns the buildings that house stores like Z Berry, Hyde Park Gyros, and Futons-N-More on 53rd Street, in addition to many student apartment buildings.